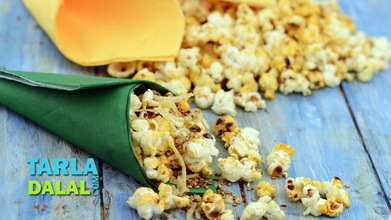 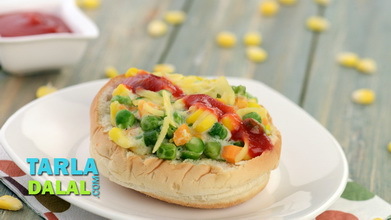 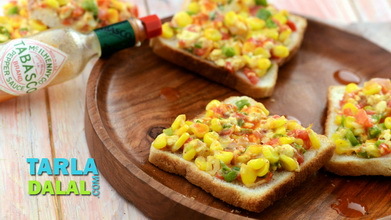 An evergreen favourite with everybody, Spicy Masala Corn is also very easy to prepare. 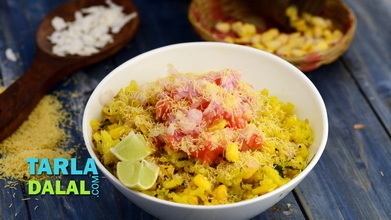 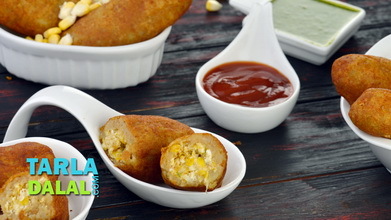 In a matter of minutes, you can serve your loved ones a chatpata snack of juicy sweet corn kernels pepped up with zesty chaat masala and tangy lemon juice. 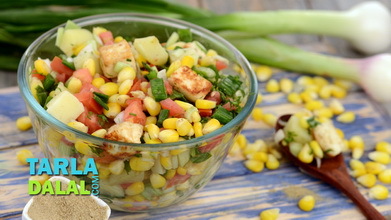 A dash of butter is very essential to bind the tongue-tingling masala with the crunchy corn, creating a rich and exciting experience. 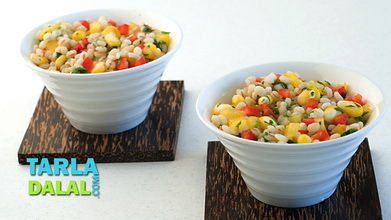 Heat the butter in a broad non-stick pan, add the sweet corn kernels, and sauté on a medium flame for 1 to 2 minutes. 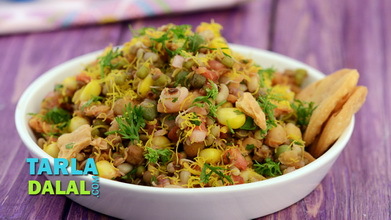 Add the chilli powder, chaat masala, lemon juice and salt, mix well and cook on a medium flame for 1 to 2 minutes, while stirring occasionally.